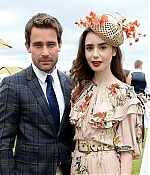 On Sunday (June 17), Lily attended the Cartier Queen’s Cup Polo Final at Guards Polo Club in Egham, England. She looked amazing wearing Johanna Ortiz. Several photos from the event have now been added to the gallery, be sure to check them out and enjoy! THR – Hope Dickson Leach is directing the family drama, with Protagonist Pictures to shop the pic in Cannes. 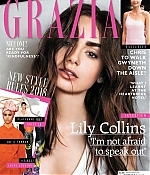 Jack O’Connell and Lily Collins are joining The Cradle from The Levelling director Hope Dickson Leach. O’Connell and Collins will play a couple not ready to expect their first baby as they track down a childhood cradle, only to make a discovery that will change their family forever. Protagonist Pictures will launch the project to international buyers in Cannes. UTA and CAA are handling North American rights. The Cradle is adapted from the 2009 novel by writer Patrick Somerville, who co-wrote the screenplay with Dickson Leach. The producer credits are shared by Gail Mutrux and Tore Schmidt for Pretty Pictures. Production on The Cradle is set for summer 2018. Dickson Leach is repped by UTA and Casarotto Ramsay & Associates. O’Connell is repped by CAA, Conway van Gelder Grant and Sloane Offer Weber & Dern. Collins is repped by CAA, LBI, Definition Entertainment and Sloane Offer Weber & Dern. Back last week, Lily attended the Cartier’s Bold & Fearless Celebration on April 5th and the Cartier Mid-Winter Gala on April 6th. The gallery has now been updated with HQ photos from both events. 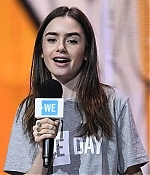 Today is Lily Collins’ 29th birthday! On behalf of Love, Lily and all Lily fans around the world, we wanted to wish you a very happy birthday! We are all wishing you a year of happiness, success, joy, health, and love. Have an amazing day! 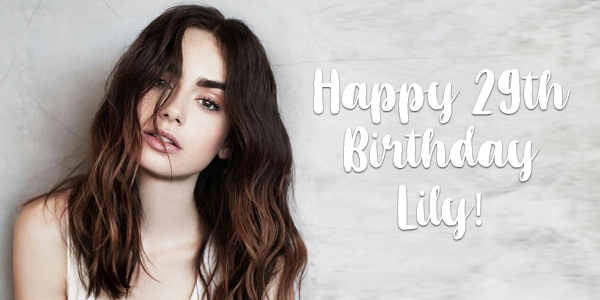 Make sure you send all your birthday wishes to @lilycollins! THE HOLLYWOOD REPORTER – BBC One and Masterpiece have set the cast for its forthcoming take on Les Miserables. Set to star in the six-part drama from Andrew Davies are David Oyelowo (Selma) Dominic West (The Wire, The Affair) and Lily Collins (Okja, The Last Tycoon). Oyelowo will be taking on the part of Javert, joining Collins as Fantine. The cast also includes Adeel Akhtar (The Night Manager) and Olivia Colman (The Night Manager) as Monsieur and Madame Thénardier, Ellie Bamber (Pride and Prejudice and Zombies) as Cosette, Josh O’Connor (Ripper Street) as Marius and Erin Kellyman (Raised By Wolves) as Éponine. Davies will go back to the original novel and delve deep into the layers of Hugo’s story, revelling in Jean Valjean and Javert’s cat-and-mouse relationship, against the epic backdrop of France at a time of civil unrest. Davies, Faith Penhale for Lookout Point, Bethan Jones for BBC Studios, Mona Qureshi for BBC One, Rebecca Eaton for Masterpiece, West and Oyelowo exec produce. Tom Shankland directs the series, which was was commissioned by Charlotte Moore, director of BBC Content. Production begins in February in Belgium and Northern France. 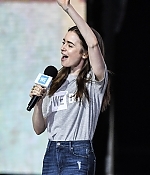 Collins is repped by CAA, LBI Entertainment and Sloane Offer; Oyelowo is with CAA, Inphenate, Hamilton Hodell and Schreck Rose; and West is with WME. BBC recently dropped the Weinstein Co. as a producer on the series. Last Wednesday (December 6), Lily attended the MThe Hollywood Reporter’s 2017 Women In Entertainment Breakfast and 29Rooms Opening Night Of ‘Refinery 29: Turn It Into Art’. HQ photos have been both added to the gallery.